With our years of experience in professional paint contracting, we’ve heard every question imaginable, but quirky, off-the-wall queries aren’t all that common. Typically, homeowners who are considering professional painting services have the same basic concerns. To help those researching house painting services, we put together this list of common questions and their answers. How much interruption to daily inside life will a painter cause? It all depends. 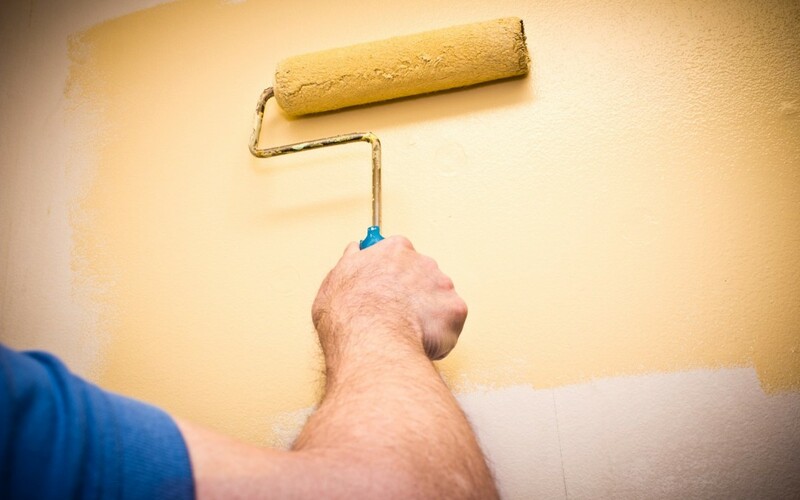 If you hire a trustworthy, reputable painting contractor, the disruptions will be very minimal. A professional painter with established references can be left alone in your home during the day, so you can still work, run errands and so on. While the room that is being painted won’t be accessible to you during the process, the rest of your home should be quiet and undisturbed. Hiring a professional painter, with plenty of experience also means a less disruption. Experienced painters have a well established system for painting quickly, quietly and in the correct order for fastest results. Will my furniture and carpet be okay? Truly professional painters treat homes with respect and will work hard to ensure that everything in a room is protected. Protective coverings will be placed over carpeting and any furniture that can’t be removed from the room to ensure that everything stays tidy and free of paint. At the end of the project, the painters should handle all of the clean-up for you and remove any empty paint tins and other waste for you. Are the fumes a problem for my family? Oil-based interior paints can create fumes that contain VOCs, but if you prefer these not be used in your home, most painters can oblige you. Even if oil-based paints are used, the dangers are minimal if the painter takes the proper precautions. Using fans and keeping the room properly ventilated greatly cuts down on any risk associated with oil-based paint fumes. How long will the fumes remain for? You can continue to run fans in the room for 1 to 2 days after the project ends to air the room out further. Most fumes will subside within 48 hours. Why is Dulux paint the professionals’ choice? Dulux is the most popular brand of paint used by professionals in Australia for a number of reasons. For one thing, the quality of the paint is truly second to none. It gives the best results on many different types of surfaces and provides a long-lasting finish that will resist wear and tear. In addition, the Dulux collection includes virtually every colour imaginable, and there are many options available in terms of formulations. Painters who want to give their clients the most possible choices prefer Dulux as a result. Is there professional painter certification in Australia? There is no nation-wide mandate for professional painter certification in Australia. Each state establishes their own rules and regulations. In New South Wales, painters are typically required to be licensed by the Department of Fair Trading. Victoria does not require professionals who paint without doing any other type of work beyond painting to get a license. South Australia, Queensland and Western Australia have licenses, while Tasmania, the Australian Capital Territory and the Northern Territory do not. As an example, we have been house painters in Sydney for several decades. We comply with the Department of Fair Trading, and with Dulux’s professional standards. Beyond that, we rely on the positive reviews from our past clients. If you are looking for a professional painter then we encourage you to do the same. Still have questions about house painting? Our team here at Colour Elegance will be glad to answer them. Contact us today for assistance or to get a free quote on your project.